In the example above, we returned pre-defined TwiML in response to the incoming call. 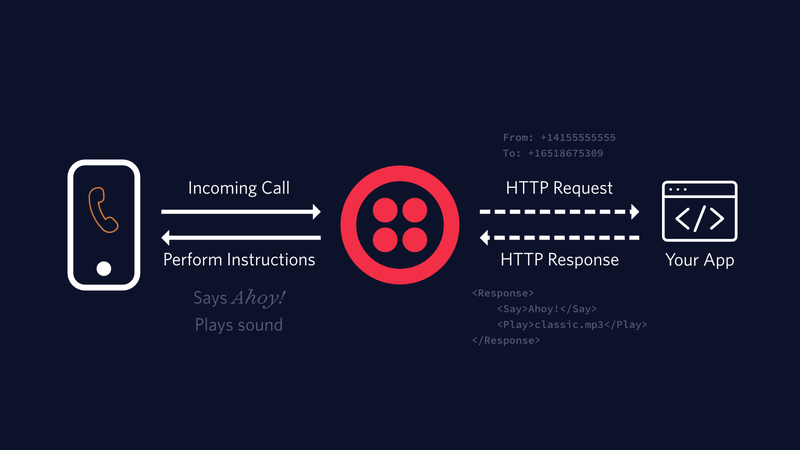 The real power of using webhooks like this is executing dynamic code (based on the information Twilio sends to your application) to change what you present to the user on the other end of the phone call. You could query your database, reference a customer's phone number in your CRM or execute custom logic before determining how to respond to your user. Learn more about HTTP authentication here, and check out our full guide to securing your Ruby application by validating incoming Twilio requests. If this guide was helpful, you might also want to check out these guides for Programmable Voice and Ruby.